There are plenty solar panels installed in the recent years. Their operation expectancy as far as I know is about 50 yrs. This will produce waste for our grandchildren. Please, reassure me, that these panels can be recycled somehow. Yes, and there are companies that are already doing it. Yes, solar panels can be recycled -- in Europe this is required by law, and technology exists and is quickly being improved to facilitate this. 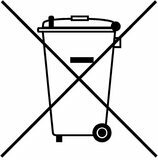 The WEEE Directive is the European Community Directive 2012/19/EU on waste electrical and electronic equipment (WEEE) which, together with the RoHS Directive 2002/95/EC, became European Law in February 2003. The WEEE Directive set collection, recycling and recovery targets for all types of electrical goods. [The WEEE] addresses the waste management of all electronics, including waste PV modules, in the EU member states. It requires 75%/65% (recovery/recycling rate) of waste PV modules by mass to be recycled through 2016, then increases to 80%/75% through 2018 and to 85%/80% thereafter. From 2019 onwards, the EU will require 80% of solar panels to be recycled at the end of life, with greater than 85% recovery of usable materials. The IEA-PVPS performs periodic technical reviews of PV recycling technologies and trends. This work is a collaborative effort of government organizations, non-profit organizations, and academic researchers from the U.S., the Netherlands, China, Japan, Korea, Belgium, and the European Union. In addition to such a regulatory scheme [as the WEEE], it is obvious that recycling technologies must be available to meet the increasing requirements of WEEE. Available recycling facilities that treat PV modules can meet current WEEE requirements; additional research and development (R&D) is required to meet subsequent WEEE requirements at reasonable cost. A review of patents and R&D spending on PV recycling technologies is then performed. The authors identify 178 different patents related to PV recycling technologies since 1976, with the rate increasing dramatically since 2009. First Solar, one of the largest solar panel manufacturers with operations in the US, Germany, and Malaysia, has a process which can recover up to 90% of the materials from the panels they produce. PV Cycle, a European waste management program for manufacturers and sellers, developed a process which can recover up to 96% of materials. Not the answer you're looking for? Browse other questions tagged solar-power recycling or ask your own question.